Graduate student articles published in peer-reviewed journals. Baute D, Satkoski J, Spear T, Smith D, Dayton M, Malladi V, Goyal V, Kou A, Kinaga J, Kanthaswamy S. 2008. “Analysis of Forensic SNPs in the Canine mtDNA HV1 Mutational Hotspot Region.” Journal of Forensic Sciences. Beddow MT, Howitt MS, Tulleners FA, Giusto MT. 2008. “Micro-marked Firing Pins: Their Character, Durability and Legibility on Fired Cartridge Cases.” The Association of Firearm and Tool Mark Examiners Journal. Benedet JA, Umeda H, Shibamoto T. 2007. “Antioxidant Activity of Flavonoids Isolated from Young Green Barley Leaves toward Biological Lipid Samples.” Journal of Agricultural and Food Chemistry. Bose N, Carlberg K, Sensabaugh G, Erlich H, Calloway C. 2018. “Target Capture Enrichment of Nuclear SNP Markers for Massively Parallel Sequencing of Degraded and Mixed Samples.” Forensic Science International: Genetics. Dayton M, Koskinen MT, Tom BK, Mattila A-M, Johnston E, Halverson J, Fantin D, NeNise S, Budowle B, Smith DG, Kanthaswamy S. 2009. “Developmental Validation of Short Tandem Repeat Reagent Kit for Forensic DNA Profiling of Canine Biological Materials.” Croatian Medical Journal. Dodds AJ, Land DP, Pollock EM. 2005. “Determination of Elemental Homogeneity in Automotive Windshields by LA-ICP-MS.” The CAC News 4th Quarter. Dunbar M, Murphy TM. 2008. “DNA Analysis of Natural Fiber Rope.” Journal of Forensic Sciences. Fessler CC, Tulleners FA, Howitt DG, Richards JR. 2008. “Determination of mouth alcohol using the Dräger Evidential Portable Alcohol System.” Science and Justice. Fussell JL, Thornton JI, Whitehurst FV. 2009. “Visual Characterization and Identification of Cannabis Sativa (Marijuana) Seeds.” Journal of Forensic Identification. Gallagher MB, Sandhu S, Kimsey R. 2010. “Variation in Developmental Time for Geographically Distinct Populations of the Common Green Bottle Fly, Lucilia sericata (Meigen).” Journal of Forensic Sciences. Harper KA, Smart CD, Davis RM. 2011. “Development of a DNA-Based Macroarray for the Detection and Identification of Amanita Species.” Journal of Forensic Sciences. Himmelberger AL, Spear TF, Satkoski JA, George DA, Garnica WT, Malladi VS, Smith DG, Webb KM, Allard MW, Kanthaswamy S. 2008. “Forensic Utility of the Mitochondrial Hypervariable Region 1 of Domestic Dogs in Conjunction with Breed and Geographic Information.” Journal of Forensic Sciences. Humphreys MK, Panacek E, Green W, Albers E. 2013. “Comparison of Protocols for Measuring and Calculating Postmortem Submersion Intervals for Human Analogs in Fresh Water.” Journal of Forensic Sciences. Imes DL, Wictum EJ, Allard MW, Sacks BN. 2012. “Identification of Single Nucleotide Polymorphisms within the mtDNA Genome of the Domestic Dog to Discriminate Individuals with Common HVI Haplotypes.” Forensic Science International Genetics. Johnson CE, Premasuthan A, Satkoski Trask J, Kanthaswamy S. 2013. “Species Identification of Cannabis Sativa using Real-Time Quantitative PCR (qPCR).” Journal of Forensic Sciences. Kirgiz IA, Calloway C. 2017. “Increased Recovery of Touch DNA Evidence Using FTA Paper Compared to Conventional Collection Methods.” Journal of Forensic and Legal Medicine 9-15. Kun T, Lyons LA, Sacks BN, Ballard RE, Lindquist C, Wictum EJ. 2013. “Developmental Validation of Mini-Dogfiler for Degraded Canine DNA.” Forensic Science International Genetics. Laatsch CN, Durbin-Johnson BP, Rocke DM, Mukwana S, Newland AB, Flagler MJ, Davis MG, Eigenheer RA, Phinney BS, Rice RH. 2014. “Human Hair Shaft Proteomic Profiling: Individual Differences, Site Specificity and Cuticle Analysis.” PeerJ. Lawrence DM, Kemp BM, Eshleman J, Jantz RL, Snow M, George D, Smith DG. 2010. “Mitochondrial DNA of Protohistoric Remains on Arikara Population from South Dakota: Implications for the Macro-Siouan Language Hypothesis.” Human Biology. Llinas G, Sensabaugh G. 2008. “Evaluation of Microbial Community Profiling for the Forensic Characterization of Soil Evidence: A Pilot Study.” The CAC News 1st Quarter. McCabe KR, Tulleners FA, Braun JV, Currie G, Gorecho EN 3rd. 2013. “A Quantitative Analysis of Torn and Cut Duct Tape Physical End Matching.” Journal of Forensic Sciences. Middlestead C, Thornton J. 2010. “Sensitivity of the Luminol Test with Blue Denim.” Journal of Forensic Sciences. Ng J, Premasuthan ASJ, Premasuthan A, Kanthaswamy S. 2012. “A TaqMan Multiplex Assay for Hoofed Livestock Species Identification and Nuclear DNA Quantification.” International Food Research Journal. Ng J, Satkoski J, Premasuthan A, Kanthaswamy S. 2014. “A Nuclear DNA-based Species Determination and DNA Quantification Assay for Common Poultry Species.” Journal of Food Science and Technology. Phillips MA, Cánovas A, Wu P-W, Islas-Trejo A, Medrano JF, Rice RH. 2016. “Parallel Responses of Human Epidermal Keratinocytes to Inorganic SbIII and AsIII.” Environmental Chemistry. Premasuthan A, Kanthaswamy S, Satkoski J, Smith DG. 2011. “A Simple Multiple Polymerase Chain Reaction to Determine Abo Blood Types of Rhesus Macaques (Macaca Mulatta).” Tissue Antigens. Rice RH, Bradshaw KM, Durbin-Johnson BP, Rocke DM, Eigenheer RA, Phinney BS, Schmuth M, Gruber R. 2013. “Distinguishing Ichthyoses by Protein Profiling.” PLos One. Rice RH, Bradshaw KM, Durbin-Johnson BP, Rocke DM, Eigenheer RA, Phinney BS, Sundberg JP. 2012. “Differentiating Inbred Mouse Strains from each other and hose with Single Gene Mutations using Hair Proteomics.” PLoS One. Rice RH, Rocke DM, Tsai H-S, Lee YJ, Silva KA, Sundberg JP. 2009. “Distinguishing Mouse Strains by Proteomic Analysis of Pelage Hair.” Journal of Investigative Dermatology. Scharnhorst G, Kanthaswamy S. 2011. 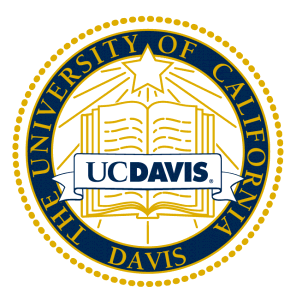 “An Assessment of Scientific and Technical Aspects of Closed Investigations of Canine Forensics DNA-case Series from the University California, Davis, USA.” Croatian Medical Journal. Smalling BB, Satkoski JA, Tom BK, Szeto WY, Erickson BJ-A, Spear TF, Smith DG, Budowle B, Webb KM, Allard M, Kanthaswamy S. 2010. “Geographic Differences in Mitochondrial DNA (mtDNA) Distribution among United States Domestic Dog Population.” The Open Forensic Science Journal. Taormina PL, Satkoski Trask JA, Smith DG, Kanthaswamy S. 2012. “Variation in CCL3LT Copy Number in Rhesus Macaques (Macaca mulatta).” Comparative Medicine. Tarditi CR, Grahn RA, Evans JJ, Kurushima JD, Lyons LA. 2011. “Mitochondrial DNA Sequencing of Cat Hair: An Informative Forensic Tool.” Journal of Forensic Sciences. Tom BK, Koskinen MT, Dayton M, Mattila AM, Johnston E, Fantin D, Denise S, Spear T, Smith DG, Satkoski J, Budowle B, Kanthaswamy S. 2010. “Development of a Nomenclature System for a Canine STR Multiplex Reagent Kit.” Journal of Forensic Sciences. Weller TJ, Zheng A, Thompson R, Tulleners F. 2012. “Confocal Microscopy Analysis of Breech Face Marks on Fired Cartridge Cases from 10 Consecutively Manufactured Pistol Slides.” Journal of Forensic Sciences. Williams S, Panacek E, Green W, Kanthaswamy S, Hopkins CJ, Calloway C. 2014. “Recovery of Salivary DNA from the Skin After Showering.” Forensic Science Medicine Pathology. Yang N, Li H, Criswell LA, Gregersen PK, Alarcon-Riquelme ME, Kittles R, Shigeta R, Silva G, Patel PI, Belmont JW, Seldin MF. 2005. “Examination of Ancestry and Ethnic Affiliation using Highly Informative Diallelic DNA Markers: Application to Diverse and Admixed Populations and Implications for Clinical Epidemiology and Forensic Medicine.” Human Genetics.